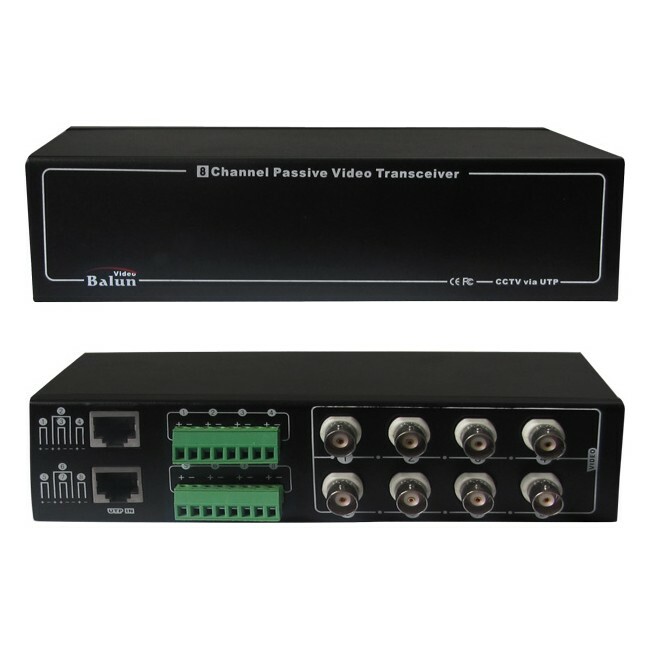 With the same features and abilities as the DOSS Passive Video baluns, and the convenience of a single box, the VB8CH is able to mounted in a rack with your DVR or fixed in-wall/ceiling. Operation and function is identical to 8x BVB4x00 Passive Video Baluns. 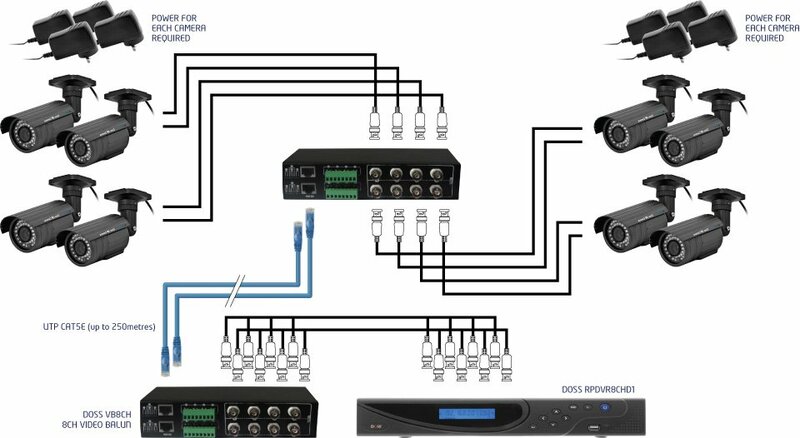 Capable of sending and receiving 8x Video signals over only 2 UTP cables. 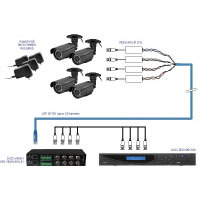 Features 2x 8P8C (RJ45) connections (2x 4-in-1 video connections) and 8x screw terminal block for UTP cable, enabling quick and simple installation. Working with the DOSS Passive Video Baluns, the VB8CH eliminates costly and bulky coaxial cable, allowing live CCTV colour video signal transmission up to 400m (1300ft). The superior interference rejection and low emissions of the VB8CH allow signals to coexist in the same wire bundle as telephone, datacom, or low-voltage power circuits. This allows the use of a shared or existing cable infrastructure. The VB8CH has built-in surge suppression to protect video equipment against damaging voltage spikes. 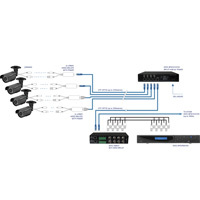 Its crosstalk and noise immunity ensure quality video signals. 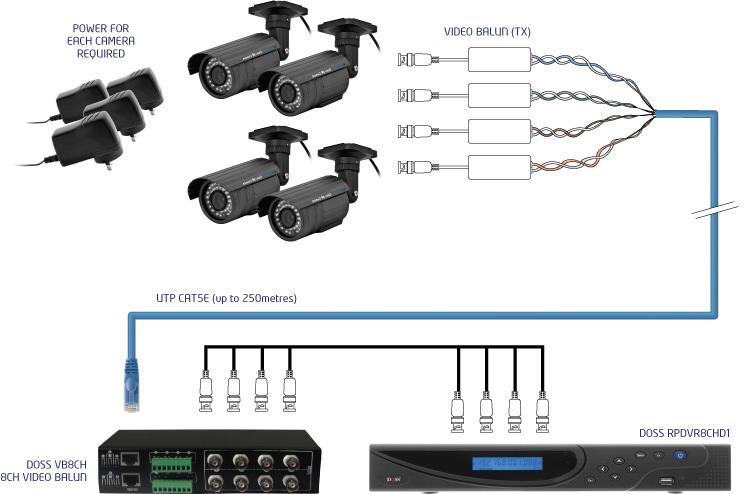 The passive (non-amplified) baluns allow transmission of realtime CCTV video signals and power over cost-effective Unsheilded Twisted Pair (UTP) cable, without any compression, loss or signal degradation and without the needfor extra power supplied to be installed. 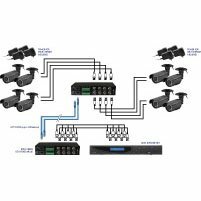 Sending camera power over the same twisted pair as video means less cabling, and no power supply required to be installed near to the camera. Baseband (composite) signals of any type are supported.